With the sun breaking the sky and the smell of the BBQ in the air all the boxes were ticked for a fantastic family fun day with Oilstates Industries UK with our team at the helm. 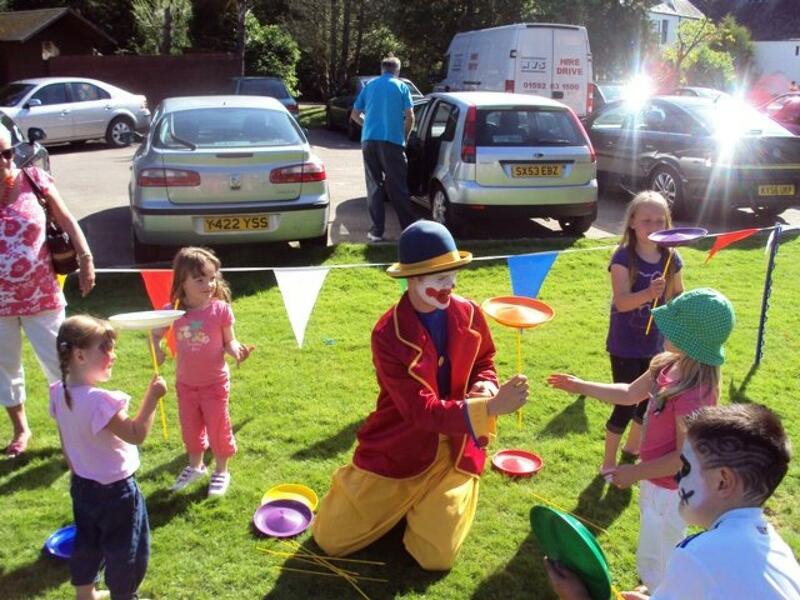 As the excited guests to arrived at Maryculter House Hotel they were greeted by a fantastic array of activities stretching as far as the eye could see. There was Laser Clay Pigeon Shooting, Archery, the Surf Simulator and our ever popular Bucking Bronco. It was certain to be a fabulous afternoon of Family Fun Day entertainment, and with our world famous Dozer the Clown on site and on form, the laughter was to flow all day long. 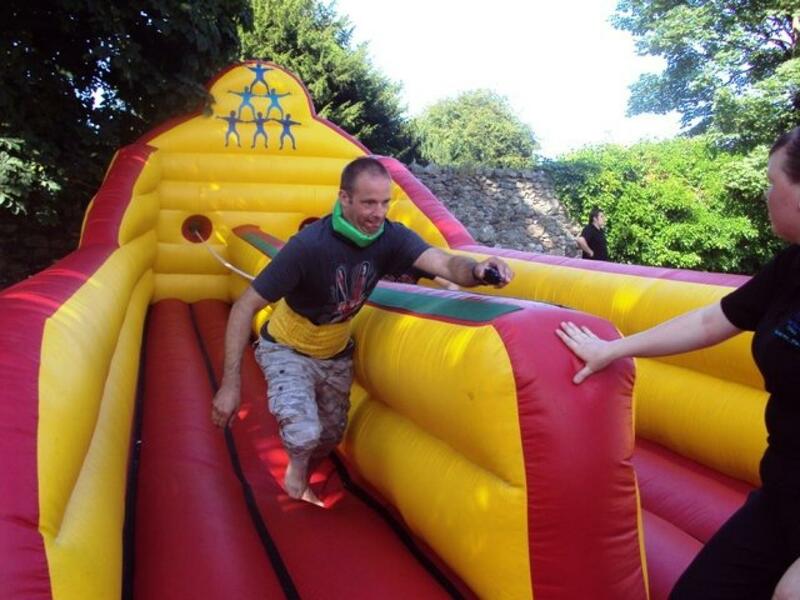 There was a real buzz of excitement as the itninery was announced for the Corporate Family Fun Day. 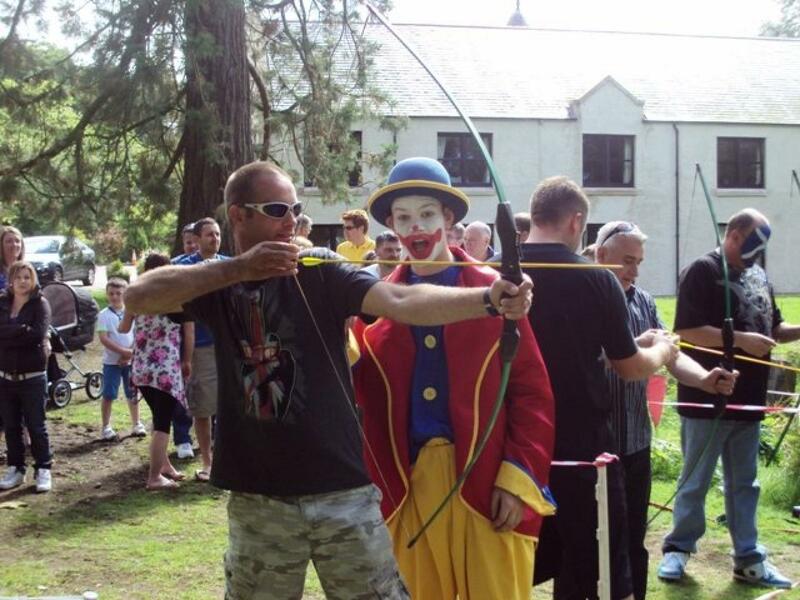 The first fun day competition was at Archery, and a massive crowd of around 50 people came along in a bid to take home the company Winners Trophy. It was a huge fight to the end, but a clear champion emerged in the one and only Brian Ross (aka Silver Fox/Dale Winton)! Was that a real tan or from the bottle...Brian you will have to let us know...? We then moved over to the Laser Clay Pigeon Shooting to find out who would be the Oilstates Industries UK sharp shooter 2010. The contestants were on fine form but were all out-witted by the man they call Popgun Paul Gallagher, who put on a great show of his shooting skills. 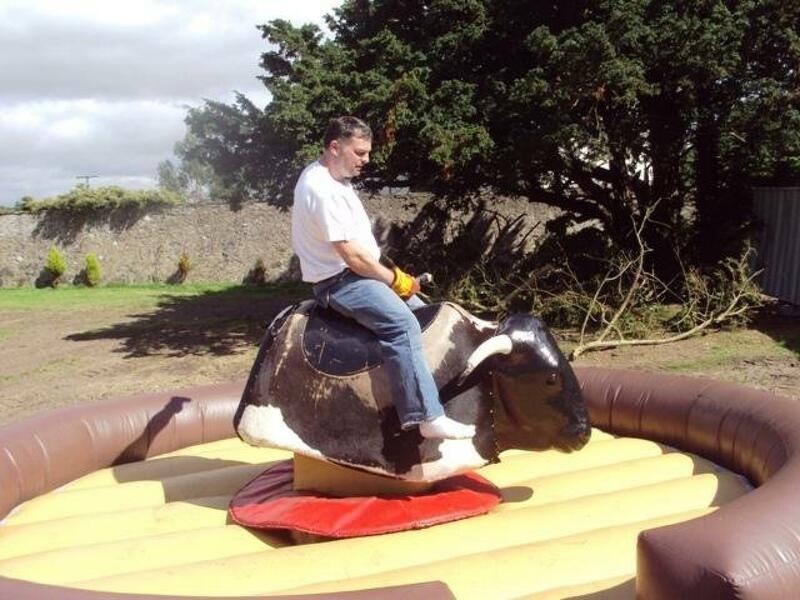 The Corproate Fun Day Bucking Bronco competition proved to be a great success with Horris being a tough ride for all. The winners performed incredibly well, and a big shout out goes to Grant, Alana and Devon. Kevin you were unlucky with your score of 26s. I think for next year you better bring your chaps. The event ended on a great high with all the kids' races, and we even convinced a few of the Adults to take part in the odd Space Hopper Dash! The afternoon of entertainment had been a massive success, and thoroughly enjoyed by all in attendance. A big thank you must go to Kevin, Willie and Alana, whose hard work and enthusiasm ensured the event wasa truly memorable one. Everyone from Oilstates Industries UK were a complete pleasure to work with, and we at Team Challenge Company look forward to seeing you all again soon.